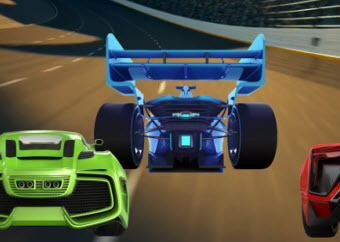 Enjoy the excitement and fun of car racing by playing this Addition with Regrouping Math Racing Game. Hairpin turns, bumper-to-bumper high-speed auto racing at its best is highlighted in this great game. Return from this Addition with Regrouping Math Racing Game to the Elementary Math Games, 3rd Grade Math Games webpage, or to Math Play.